WELCOME to the fabulous Florida Keys, with North America`s only living coral reef. The Middle Florida Keys is one of the world`s most versatile and breathtaking dive destinations. You will be in awe of the wondrous sights below. So much so, you will want to stay down forever. A Deep Blue Dive Center, located in the city of Key Colony Beach, invites you and your family to dive or snorkel off "Turtle", a roomy 34-ft., six-passenger vessel. There is also "Squirt" a 25-ft Privateer, six-snorkeler vessel, or the The "Sea Diver" a 30-ft., twenty-two passenger vessel or our forty-nine passenger, 45-ft. Corinthian Catamaran "Tortuga". We can accommodate any size trip and customize the perfect trip for your group. Keep your eyes open for a dolphin or turtle on the 30 minute ride back to the dock. Tilden`s welcomes all divers, from a first time breathing underwater to professionals that have mastered the art. With our prime location in the middle of the beautiful Florida Keys, Marathon hosts a large section of the 3rd largest barrier reef in the world. Our Marathon boats have over 30 different dive sites to choose from. So, why dive anywhere else? Have family members that don`t want to dive, but like to fish? Whether you have a week to spend on vacation, or only a few hours, we can entertain you with lifelong, funfilled memories. Marathon is quiet, uncrowded, and great for families. Tilden`s is your one stop shop so, come on down,we can`t wait to meet you! First class, full-service diving with all the amenities. Diving diversity from marine life interaction to deep wreck on Nitrox. Halls has it all. Located in the beautiful Florida Keys, experience our access to the largest sheltered coral reef system in the U.S. With dives off the coast of Marathon, Halls provides the most diverse diving options available. The amount of underwater scuba diving equipment we have available coupled with our exclusive coral reef diving locations will provide the best diving experience around. Discount Divers has been in business in the Florida Keys for more than 30 years. Our massive, deeply discounted, major brand name inventory features Aqua-Lung/U.S. Divers/Cousteau, Suunto, and DeepSee Scuba and Snorkel equipment. Our factory trained service technicians, well maintained charter boats, and bargain - priced vacation apartments have made us a popular home base to visiting divers, snorkelers, and fishermen for many years. Would you like to enjoy a day snorkeling on the most famous part of the third largest barrier reef in the world? Join the fun and friendly crew at Starfish Marathon Snorkeling Tours for a day trip to magnificent Sombrero Reef, where you can enjoy a leisurely swim among the many fish and corals in a protected underwater paradise. We will make your Marathon snorkeling adventure comfortable, exciting, and unforgettable aboard our entirely covered catamaran, outfitted with a freshwater shower and concessions. We offer a family-friendly environment suitable for all ages, and we even include your snorkeling gear. Join one of our snorkel tours in Marathon and discover one of Florida`s most hidden natural jewels. The Tackle Box is proud to have one of the largest in-store salt-water fishing product lines in the area. Additional items are available from The Tackle Box warehouse. When browsing our online catalog, look for the following Stock Status messages - Usually In-Store and In Warehouse. If it says Usually In-Store then chances are good we have it here. If it says In Warehouse, please Contact Us to see if we have it in stock or we can order it for you. The 73` Marathon Lady offers the finest Party Boat Fishing in the Florida Keys! Our crew is famous for their courtesy & friendly assistance in helping YOU CATCH FISH! Locally Owned & Operated since 1958! SNAPPER ~ GROUPER ~ MACKEREL Recipient of the People`s Choice Award: Voted Best Party Boat Every Year For A Decade +, 13 Consecutive Years! Our clients have an innate connection and fascination with the ocean - and by extension, fishing. We are a professional light tackle, live bait, tournament rigged fishing vessel. From seasoned to the novice angler, we`ll put you on the targeted species. Capt. Kevin Johnsen is a licensed USGC Master Captain, avid diver and 30 plus year resident of Marathon and the middle Keys. Growing up on the unspoiled beaches and waters of the Florida Keys, he developed the attraction and life long bond to the ocean. After a 10 year hiatus in the suburbs of Chicago, the ocean called him back to the Keys to be reunited with liquid paradise. His adventures started small, spearfishing with friends from a small boat on the weekends and rod and reel fishing when the water temperatures fell below "warm". Soon the weekend adventures became unbelievable local fish stories until photo and video documentation was required to back up the claims. Word of mouth spread through friends of friends and it became clear that it was time to build a business to share these experiences with others who shared the love for the water, but had limited time and budgets. Capt. Kevin has held a variety of jobs on the water from traveling marine service engineer, watersports guide, kayak guide and boat rentals to commercial lobster and yellowtail fishing. The Sea Dog family has been living and fishing the Florida Keys since the 1950`s, beginning with Web Purcell. Their first boat, the Virgalona was used by the famous treasure hunter Mel Fisher to salvage the Atocha. Throughout the years the Sea Dog family has owned and operated commercial fishing boats as well as charter fishing boats. Now operating a busy charter fishing fleet, Sea Dog Charters usually has three boats out on the water each day... this keeps us abreast of what`s happening, giving our captains a distinct advantage. Local knowledge and experience combined with a love for fishing gives the Sea Dog crew what we consider "KEYS EXPERTISE." Let our Keys Expertise work for you on your next Florida Keys fishing charter. Look for us in Marathon at Mile Marker 47.5 Bayside! Captain RD was born in 1988 here in the keys, and grew up around fishing his whole life. From fishing on the freshwater lakes targeting Largemouth Bass, and Speckled Perch to fishing offshore targeting Mahi, Sail fish and everything in between. He has picked up several techniques through the years to be able to target a very wide range of species in several different bodies of water. He is CPR certified, first responder certified, and took the EMT and Fire Fighter 1 and 2 courses. He did not pursue his career opportunity as a fire fighter because his passion was on the water. Thanks for stopping by Angling Adventures. My name is Captain Rich Smith and I provide Marathon Fishing Charters & Trips With Angling Adventures. I am a native of South Florida that grew up fishing Miami to Key West. I absolutely love my job which is watching other people catch fish. I have two boats to choose from, a 23` center console and a 18` technical flats skiff. I specialize in Inshore, Wreck, Backcountry, Flats, and Family Fun Fishing trips using Light Tackle Spinning Gear and Fly Fishing. It doesn`t matter if your a beginner just learning to fish or a seasoned angler I can take you on a trip of a lifetime. I`m patient and professional with over 15 years experience. We have confidence that our new customers will appreciate the hard work and effort that The Main Attraction Fishing Team does for them, especially on the days the bite is slower. Customers and anglers should realize that while Florida Keys fishing is some of the best in the world every day is different. Our repeat customers realize this fact. Some days you catch lots of fish and other days the bite is slower. We work very hard and try different things to find what is working on any given day but will also advise you if we believe the bite is off due to conditions. You have the option to call the trip early and come in early and pay only for the time we have fished. Main Attraction like "CATCHING NOT FISHING". You should listen to the advice of your Captain as many times we can fish for different species than the original species targeted and still have a good day. But, if The Main Attraction Fishing Team is "skunked", our "Full Day" fish guarantee goes into effect. Sailfish Tarpon Marathon Florida One of the best fishing charters in the Florida Keys! Let us show you why. Experience the fishing adventure of a lifetime in Marathon, Florida the heart of the Florida Keys! Let Capt. Jeff Shelar be your guide, so you can enjoy the very best deep sea fishing Marathon, Florida has to offer. Our "No Fish No Pay" guarantee will ease your mind that you are in for a great time! Located right in the middle of the Florida Keys, Marathon Florida is surrounded by a rich history, fun attractions and of course world class fishing! Our charter fishing trips target species such as tarpon, billfish, dolphin (Mahi Mahi), barracuda, grouper, jewfish, king mackerel, marlin, sailfish, shark, snapper, various types of tuna, and dozens of other sportfish species. Searching for Florida Keys Fishing Charters? Let Captain Doug Kelley customize a Florida Keys Fishing Charter to meet your personal ideal deep sea fishing trip. Come fish the Florida Keys with the Captain! We`ve been recognized as a Trip Advisor Top Rated Fishing Charter & Tour 2 years in a row! Find out why so many of our guests book their next trip before they even get off the boat! Forget those dull, awkward "Old Man and the Sea" fishing charters overloaded with strangers. Captain Doug will make your private fishing charter one you`ll remember for all the right reasons! Bring the kids, a group of friends or that special someone. Captain Doug will make sure everyone has a great time! Welcome aboard Best Bet Sportfishing, your source for a memorable Florida Keys fishing experience. 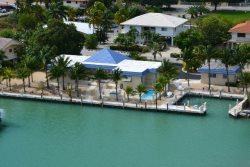 Docked in Key Colony Beach (Marathon), in the heart of the Middle Keys, Best Bet Sportfishing offers reef, wreck, offshore and tarpon trips for anglers of all ages and skill levels, specializing in live bait, light tackle techniques. In business for over 15 years, Best Bet has earned a reputation throughout the Florida Keys for catching big fish, while offering an honest, fun and safe environment. When you step aboard one of our boats, it becomes your boat for the day. Our captains and crew all love to teach beginners and will go the extra mile to find experienced anglers that once-in-a-lifetime fish. The Silver Fox is a newly refurbished 29 ft. Stamas diesel center console. We offer all types of fishing trips from 4 hour half day trips for Tarpon, Sailfish, Snapper, Grouper, Tuna, and Amberjack. We also offer 6 hour trips for the same species including Dolphin (Mahi Mahi). Also, our full day 8 hour trip is the most popular trip we offer which may even include a little daytime Sword fishing (weather permitting). Your Captain, Wayne Albert, has been fishing the middle keys waters professionally since 1975. Captain Wayne arrived in the middle keys from New England where he had fished regularly since the age of six. With his many years of experience he has earned the respect and knowledge of our keys waters. Without a doubt Captain Albert will put you on the fish and will make dreams come true one fish at at time. The Florida Keys` reef system is the second largest in the world. Here in Marathon, known as the Middle Keys, there are over 25 miles of continuous coral reef. We offer a short enjoyable boat ride to one of our favorites spots for fishing or snorkeling on the reef. I`m Capt. Jim McKoy and I have been fishing and snorkeling the Florida Keys since 1976 as a visitor, and full time in 2003. In 1982, I received my U.S. Coast Guard licensed 100-ton master and have had the pleasure of taking people diving and fishing since that time.